Today we’re going to be looking at changing your social patterns to suit your new alcohol free life. It’s so important that you try to see your life as a whole, then take it apart, bit by bit. With those parts which have been influenced by your alcohol drinking behaviour, and there will be many of them, you have to do some reinventing. Sometimes this is going to be a painful process, not because of some of the things that you have to change, but because of the mind work that you have to do. This mind work involves altering your mindset about alcohol, about the liquid itself, but mostly about how you have allowed that liquid into your life. It involves dissecting how you have surrounded yourself by environments and people who’ve also allow that liquid to become attached to their lives. This is the one road will lead you to a life of freedom from this toxin forever, not just for a week or 30 days, not just for 6 months or a year, but for the rest of your life. It will lead you to a level of freedom which has got absolutely no fear attached to it at all. This freedom gives you the knowledge and the surety that you will never, ever drink alcohol again, that you will never, ever want to drink alcohol again… Enjoy! Today I am going to talk about some of the patterns involved in socializing and how to change those patterns. Socialising when you’ve stopped drinking alcohol is one of the more difficult and complicated areas of your ‘after alcohol’ life that you can look at. 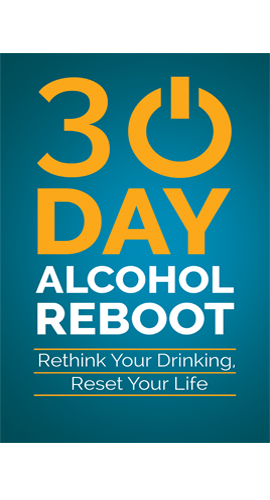 Stopping drinking alcohol is simple in itself. You just don’t drink any more, that’s it, it’s over and done with. It is very difficult in a western world to find other places, but it is becoming gradually easier, with more places starting to cater for people don’t drink alcohol. I think it is a matter of perception, we don’t perceive that there are many places to go without having a drink, so there isn’t! But if you start looking around and open your eyes a bit more you, will start to see there are a lot more places now where you could go. You are going to have to change a lot of stuff about yourself and most of it is inside your head. That’s where most of the mindset changes are going to happen. If you don’t think there are other areas where you can go without drinking or if you don’t think you can enjoy yourself without a drink, then you are handicapping yourself from day one. That is one of the things that you really want to avoid. When you change a habit a lot of things about yourself change very quickly, day you are drinking and the next day you are not drinking. As I say it is very easy to do, you just don’t put it into your mouth any more and then the rest of it is the habitual stuff and filling up the gaps and that is what takes up the effort. A perfect analogy for this is when you move house. You can plan all you like for the actual move which will be different depending on where you are moving to. You may want a bigger house and when one becomes available just down the road, you decide to move there to give you the additional room whilst not having to move very far. That move is not going to be such a big change. You can move to a different area of the city, a different city within your country or you can move to a different country, all of which will cause big changes in your life. If you take for instance moving to a new city within your country, you won’t have to learn a new language which you may have to do if you move abroad, but you’ve got a whole environmental change around you, not only in your surrounding area and the streets but the basics of where to go for things; the Town Hall, the Licensing Departments, Tax Office, best local Shops and Car Parks. If you don’t know anything about these things you are going to have to learn them quite quickly. Your house will be a new environment for you to get used to, it is unlikely to have the same layout as your previous house, so you will have to figure out where things are going to go, who is going to be in what room and all those sorts of things. Then when you have moved into your new house and you’ve got everything sorted out are then faced with a new routine to slide into and it can be difficult to get into that new routine. This is a very similar process because you move overnight, even though you have planned the actual move itself, you are still plonking yourself in a new home and that is something that is done straight away. It’s the same thing with quitting alcohol and it is the same kind of process. Most people look at moving to a new house as an opportunity for a fresh start and that is exactly the same way that you’ve got to view quitting alcohol. You have got to view it as an opportunity to leave the past where it is in the past. Do things day to day, on a moment by moment basis and get used to your life and you will hopefully have a better future and be able to plan for a better future. That kind of analogy is one of the best ones. When you get up in the morning and you are tired and you open your eyes up and you’re thinking “Where the hell am I? Where’s the door?” and you find the door and you don’t know whether to push the door or pull it, you don’t know where the bathroom room is, you don’t know where your toothbrush is and you’ve got to find all of those things, when you are not at your best. It’s the same thing when you go to work, if you have a new job you’ve got to become accustomed to your new job and the Children have got to become accustomed to new Schools and then when you come home you’ve got the same thing over again. You’ve got to figure where everything is, where are the pots for cooking the food? Where is the toilet when you want to go to the Toilet? You’ve got to sit in your chair and it might be the same chair that you had at home, you might have the same TV, but it is still in a strange room. So quitting drinking is along the same lines. You have the same sort of patterns, it is the same as the habits you get into when you are at home, the habits of being in the same house, street, city, job or School. You’ve got the same thing with your drinking. It is just a habitual thing you tend to do the same things over and over again. The same triggers spark off the same behaviours; that lead to the same rewards and you’ve got to break the pattern. You have to introduce a pattern break within either the trigger; so, you are not being triggered off or so the trigger is triggering you off into another behaviour. You have to put a pattern break within the behaviour itself or you put a pattern break in the reward. There are multiple of these things but you can do individually to do this, you can put a pattern break in either of those three areas or you can do it in in multiple stuff. You could have a different trigger, a different behaviour which will lead you to a different reward and you can have the same reward but a different trigger and a different behaviour. It is important to think about these things in advance. Most people will think about the logistics of the new move and how things will work out, they think about the future and what they are going to do the next day or the following day, a lot of people will have a list of what they are going to do but most people go into quitting drinking alcohol without any preparation at all which I think is an opportunity lost. The more preparation you can do beforehand including tapering down off the alcohol the better. 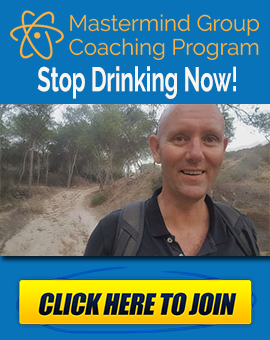 But this is about socialising, so when I am talking about all these areas of your life where you need to bring in the changes with quitting alcohol – socialisations if one of the biggest areas and it is one of the areas where you need to focus your pattern changes. You’ve got a few different areas where you can introduce your patterns areas. You’ve got the environment itself – so what you would normally do and where you would normally be when you drink, so have a look at what triggers you to get into that environment and what the reward do you get from the behaviour. You might get to the end of the day, sit on the couch, have a beer, watch the TV which is in front of you, drink your beer and then feel relaxed. So, the trigger is coming home. The behaviour is sitting on the coach having your beer. And the reward is feeling relaxed. So, you’ve got to understand that part of it. Within socialisation and socialising with people you’ve got to understand where that fits in; what the triggers are; what the behaviours are; and what is giving you the reward. You can still have the same friends – but go to a different environment. I don’t advise people to go to the pub for instance when they are quitting unless they are doing so with a specific purpose in mind, going for a meal, watching a football match, meeting someone after work for a quick drink, whatever it is; but you’ve got to plan so you know what you are going to drink when you get there and how long you are going to stay there and once this is done, your time is up, you get out there and you don’t think about having an alcoholic drink. You might think about it but if you can go in as prepared as possible in these situations then it is easier to get out of it. Another thing you can change is the people. Some people that you hang around with now and that you socialise with are just not going to be compatible especially in the first few days, weeks, months etc. Some people that I used to hang around with were just drinkers and however much they were my mates and I tried to hang around with them once I stopped drinking I just found that from both perspectives it just wasn’t workable for me to go in there and to think I could still carry one with the same routine and behaviour I was doing before. The trigger was simple, the trigger was me finishing work at the end of the day and wanting to relax, the behaviour was going to the Bar, sitting down and drinking with my mates and the reward was feeling drunk and going home, feeling happy and relaxed and able to fall asleep or go into the coma, whatever you want to call it. So, for me to think that I could still get triggered by finishing work and going to the pub as the behaviour and still get the same reward was impossible to do, because I wasn’t getting the drunkenness. From my perspective, I wanted to stop and I did not want to drink any more, I knew what it was doing to me. From an intellectual point of view that was it. I wasn’t going to do it anymore. From a habitual point of view, a subconscious pattern ritual point of view – that is a different story because your brain is still trying to fire off the habit, it is still trying to get you to have a drink because this is how it knows to gets the reward and that is what it boils down to at the end of the day is getting the reward. So that’s from one perspective, I am sat there whilst others are drinking and I can’t do that, even though I know intellectually I don’t want to do that anymore, I can’t do it, my body is telling me and I’m tempting myself all the time. Another point of view is as the lads are getting drunk and as they are getting merrier and relaxing, I’m sitting there like a spare prick. I am not only getting jealous of what they are doing because they are relaxing and having fun but I also find it difficult in trying to get and stay involved because I am still on the same level that I was on when I first got to the Pub, whereas their level, depending which way you look at it from, is getting higher and floating away, if you look at it from getting a high point of view. From my point of view the conversation is gradually going down, slightly, every minute that goes by. So, the conversation is just disappearing and going into a drunken thing and then you start looking at your friends from a different perspective. You start to look at them as their level is going down and you start to think “What the hell am I doing?” and from their point of view they are looking at you as if to say “What are you doing here? You are just like a spare prick and you just being here is not working” and eventually the phone calls will stop happening, either way and you start drifting apart. If your friends are involved in your life with other things apart from alcohol, if you normally eat with these people for instance it’s a different story because you can still do that, you can still eat and a lot of the old pattern t remains for you to hold onto. The alcohol might have gone but the rest of it is there and when you look at it and look at socialising at the end of the day that is what it is about. It is about being with people who you enjoy being with. It’s about having a laugh, it’s about the relaxation, the atmosphere and everything else that goes around there. If you are with people who are just drinking and that’s the only reason why you are with them is to get drunk, the only reason why you are in this place is to drink and get drunk. Take the alcohol out of the situation and the whole thing falls apart because there is nothing left. One of the things that I used to do before I stopped drinking alcohol was watching Football in the Pub. So, to continue doing that after I stopped drinking was easy, that structure was there. We arrive at the Bar about half an hour before the match starts, we order our drinks and we sort of had a general area where we all sat and Arsenal was always on a certain TV so everyone knew sort of where they were going to sit. I’d watch the match, shouting at the TV, get involved with all the hoo har with the thing. They either won which made you happy; or lost which made you sort of sad and then people said, “Alright see you next week” and everyone filed out. That was the same thing that happened day in and day out, every time you went out for the match so when alcohol was taken out of that situation everything else remained the same so it was very easy to amalgamate drinking Orange Juice instead of Beer. It was difficult in the beginning to be sitting in the same situation. My brain was ticking over and I was aware of the habit, and then I’d take a sip expecting Beer and I’d get a taste of Orange Juice which sort of snapped me out of that a little bit but then I’d go back into it because you of being in a familiar situation and surrounding with familiar people, familiar Arsenal on the TV and all that kind of stuff and then you get another snap out of it when you drink another bit of orange juice, but you soon get over that type of thinking. So, it depends on the situation, you can either change the environment, the people or you can change a combination of them both. You can generally start looking around for alternatives. Try and look at this beforehand, before you even start out on your journey and whilst you are tapering off on the alcohol. Also prepare for everything else, think of the place where you are going to go to socialise and think of things that you are going to do to socialise. The very first thing you have to do is observe, observe what you are doing and what the triggers are, what the behaviours and rewards are that you are getting out of a particular situation and think about things from a situation to situation basis. Not every social situation will be the same as the next one. You might have friends like I had where you go out drinking and watch a Football match or whatever game you watch. You might have other friends that you go out for drinks and meals with or that you go dancing with or that come around your house and to have for example a Barbecue; whatever it is that you do. So, there are all sorts of social situations. Obviously, you don’t have to look at the social situations that don’t involve alcohol. We are specifically talking about the alcohol here. Once you have made the observations you have the power to do something. You know what your triggers and behaviours are and you know what the end result is, so you can try and move things around and think of ways to do things in a different environment. If you can do that than all well and good because you are putting a pattern into your environment. A lot of the reasons why do certain things is because habits are subconscious so you tend to just do them because you are not thinking about them like me for going into the Bar and watching the football. Once I get in the Car and start driving to the match and walk in the door it is like I automatically go into the rest of the situation. 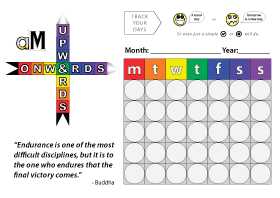 Things are different, you talk about different things, the game is different but so many of the situations are the same and it is like a repetitive pattern that goes over and over and in order to stop yourself from drinking you’ve got to introduce pattern interrupters in a lot of the areas. Or change the people that are there. It is one of the more difficult things that you have to do but like anything else in this game there is no such thing as cannot, there is only will not. So if you say to me “I can’t do this ” it is really because you won’t do it. It’s not that you can’t do it, it is that you won’t do it. If there is a will there is a way around this, so you have to have the will first and the absolute conviction that you want to do this and you have to have 100% commitment and when you do, you will find a way around this. So, put in the preparation, think about things first, don’t just go rushing into these places without doing any thinking beforehand, because the more you can plan the more you have in your head when you walk in these situations and the more power you have. If you have any questions at all leave them down below. 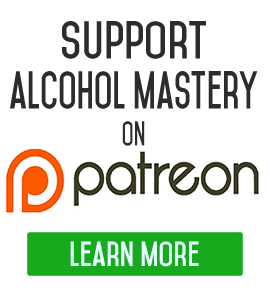 If you want to sign up for the alcohol mastery starter pack which has a lot of different courses to try and help out anyone that is trying to stop drinking, head on over to https://www.alcoholmastery.com. One of the most important bit of the starter pack is the collection of videos which I’ve done over the years regarding deprogramming yourself from all the stuff that has been happening since you were born towards living an alcohol life. We are surrounded by people who drink alcohol, it is everywhere you go and it is an acceptable part of society. It tries to deprogramme that and reprogramme yourself into doing some other things to thinking some different thoughts and thinking about alcohol in a different way and thinking about your relationship with alcohol in a different way. I think that is one of the most important things. There are about 33 videos there that are on YouTube, so there is nothing new there, but are just put together into a small little course. Thanks Kevin. Since stopping drinking I have found myself thinking about my life and trying to create new ways of doing things. At times feeling lost and very unsettled but since watching your video and the ”moving house analogy” I realise im in the process of discovering a new life , new outlooks and for me sometimes it is difficult and uncomfortable. As I go further in this new journey the more I discover and uncover and the less I miss my old life and the people I use to socialise with.. thanks mate all the best..